Coyote (Canis latrans), also called prairie wolf or brush wolf, is a member of the canine (dog) family. Although it resembles wolf, these two are completely different species. There are 19 subspecies of coyote. 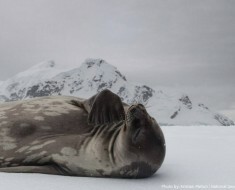 They are characterized by a narrow, pointed snout, grayish brown to yellowish gray fur on the upper parts and buff or white colored fur below, reddish brown forelegs, and a bushy, black-tipped, tail. Coyote is native to western North America, but now extends throughout North and Central America, ranging in the north from Alaska and all but the northernmost parts of Canada, south through the continental United States and Mexico, and throughout Central America to Panama. 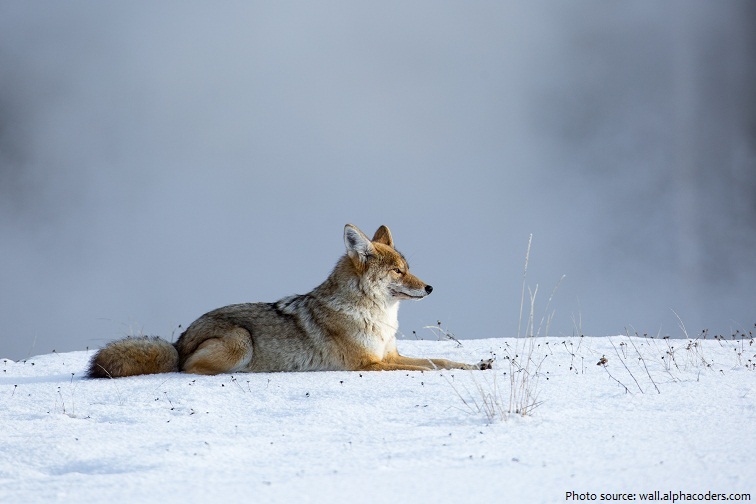 Coyotes once lived primarily in open prairies and deserts, but now roam the continent’s forests and mountains. 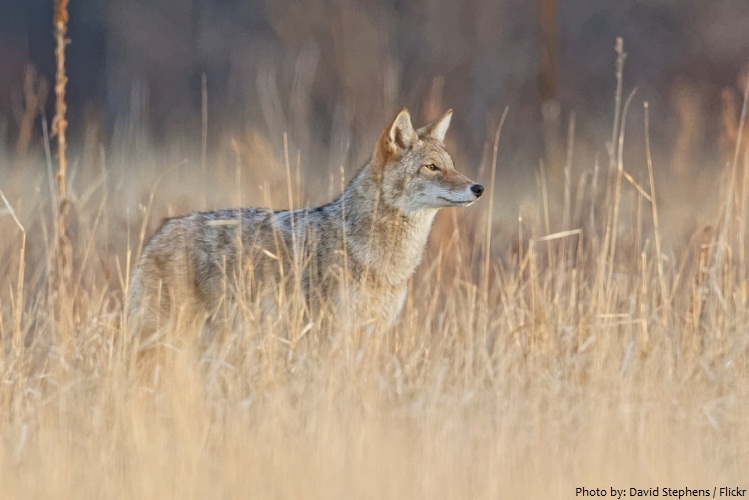 In addition to occurring in natural areas, coyotes are also found in a range of human-populated areas, including rural farms, suburbs, and cities. The average lifespan of a coyote in the wild is 10 to 14 years, while coyotes in captivity can live up to 20 years. 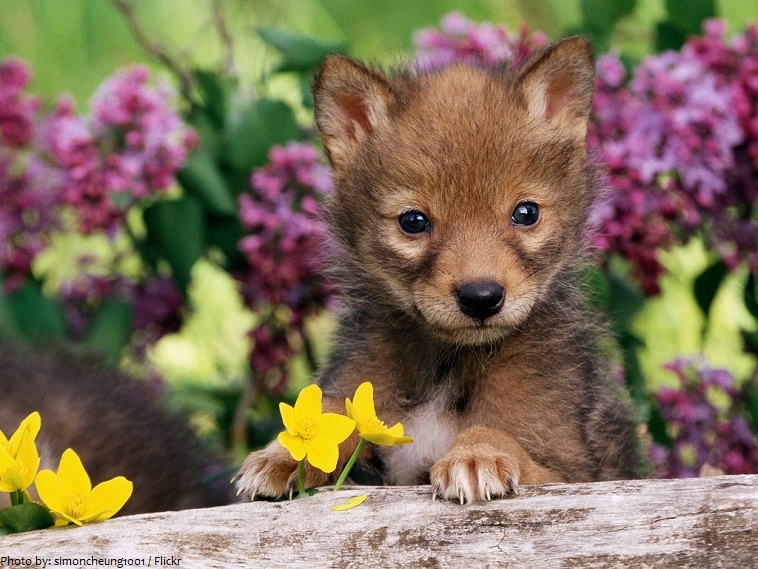 Coyotes are about as big as medium-size dogs, though they are smaller than wolves. 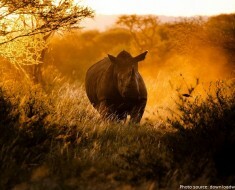 They are 81 to 94 centimeters (32 to 37 inches) from head to rump. Their tail adds another 41 centimeters (16 inches) to their length. 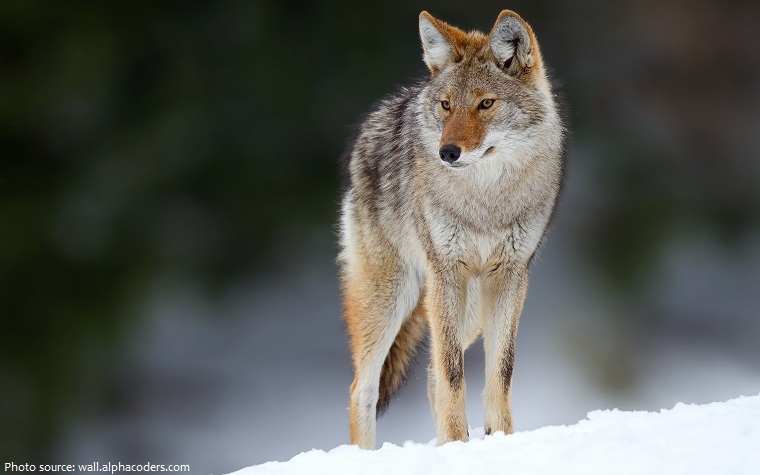 Coyotes typically weigh about 9 to 23 kilograms (20 to 50 lbs.). They are territorial animals. Just like dogs, they use urine to mark their territory. 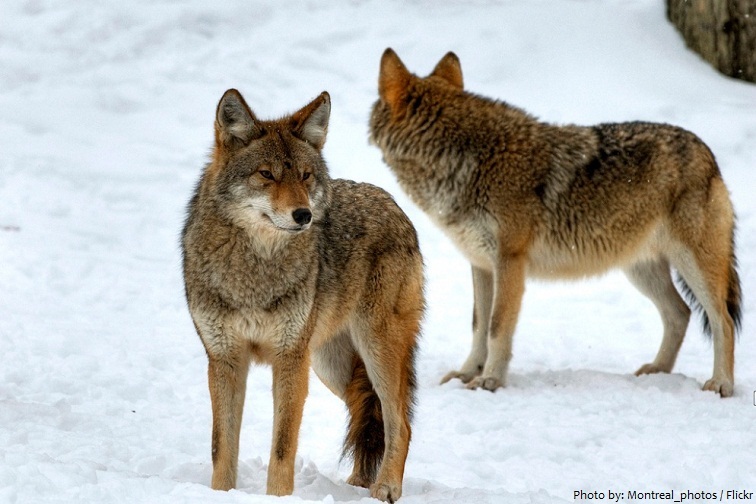 Coyotes are semi-social animals; they can be solitary, or form traveling pairs or packs. 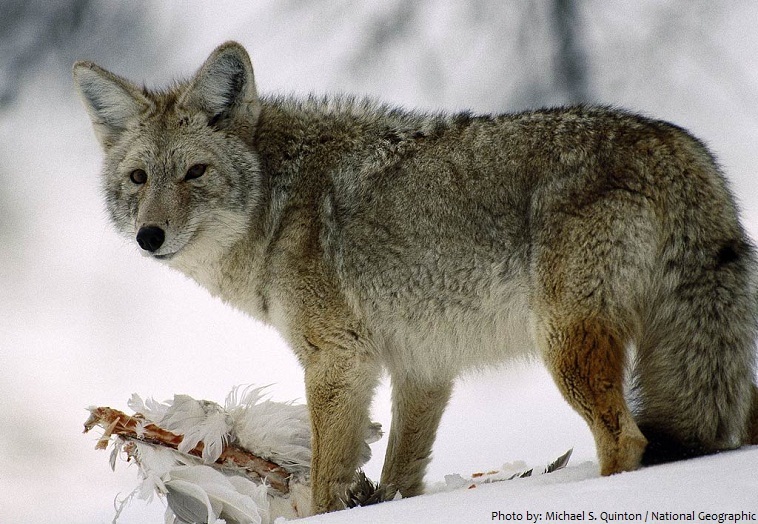 Coyote behavior and social interactions vary greatly with season and geographic region. For the most part coyotes are diurnal or crepuscular (active at dawn and dusk), but have more nocturnal habits where they reside in close proximity to humans. Although they are classified as carnivores, their food habits are quite omnivorous. They will eat anything they find. They hunt rabbits, rodents, birds, fish, frogs, and even deer. They also happily dine on insects, snakes, fruit, grass, and carrion. 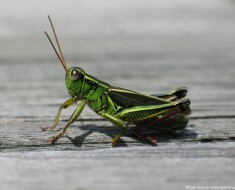 Hunting strategy depends on the type of prey they are chasing. If coyote hunt a small prey, it will hunt alone. If the prey of choice is larger animal, such as deer, group of coyotes will join their forces to kill the prey. 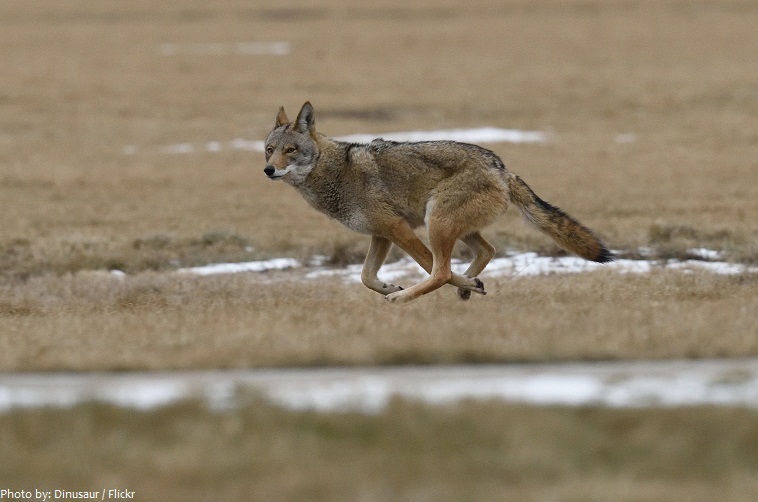 Coyotes are excellent runners. 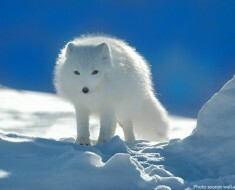 They can run up to 65 kilometers (40 miles) an hour and can jump a distance of over 4 meters (13 feet). They are also very good swimmers. They are able to escape predators through the water and have even been able to colonize islands thanks to their ability to swim. Coyotes are extremely wary. 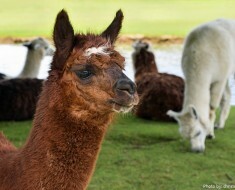 Their sense of smell is remarkable, and their senses of sight and hearing are exceptionally well developed. 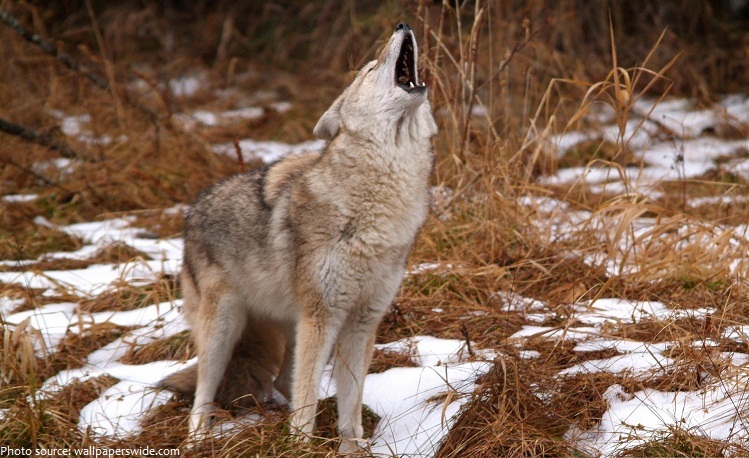 The coyote is a very vocal animal with a varied repertoire of calls. It uses a long howl to report its location, short barks to warn of danger, yips when reuniting with pack members, growls when establishing dominance, whines and whimpers when bonding, and high-pitched barks to summon pups. 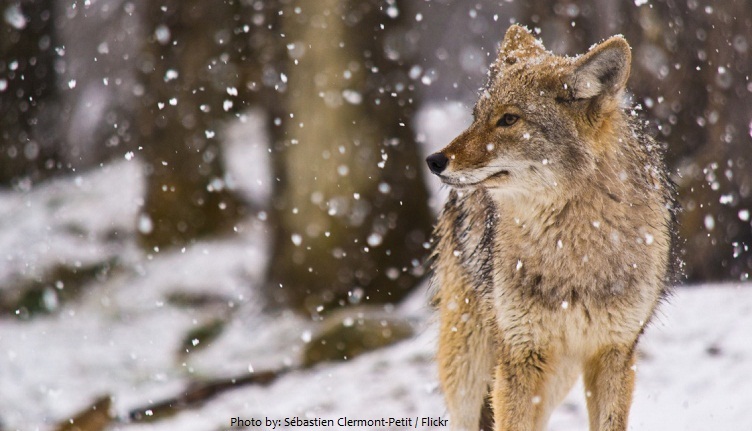 Coyotes are generally monogamous and maintain pair bonds that can last for several years. 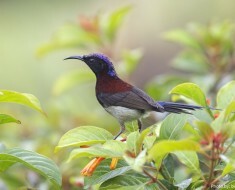 The breeding season runs from late December through March. The female coyote gestation period lasts 60 – 63 daysand pups are born in the early spring. Litter size depends on a variety of factors but typically ranges from 4 to 7. Both parents care for their young, frequently with the help of older offspring. Coyotes make their dens in rocky crevices, dense thickets and sometimes the dens of other animals. Pups are close to adult size at about nine months, when some will begin to leave the pack while others may remain with their parents. The coyote appears often in the tales and traditions of Native Americans—usually as a very savvy and clever beast. Some tribes, such as the Chinook, Maidu, Paiute, Pawnee, Tohono O’odham, and Ute portray the coyote as the companion of the creator. Wile E. Coyote (also known simply as “The Coyote”) and The Road Runner are a duo of characters from the Looney Tunes and Merrie Melodies series of cartoons.